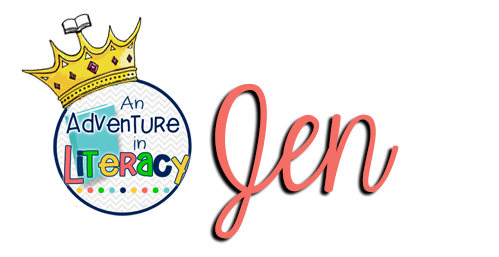 It's Jen from An Adventure in Literacy here to share an easy, no hassle way to incorporate parent reading volunteers in your classroom. 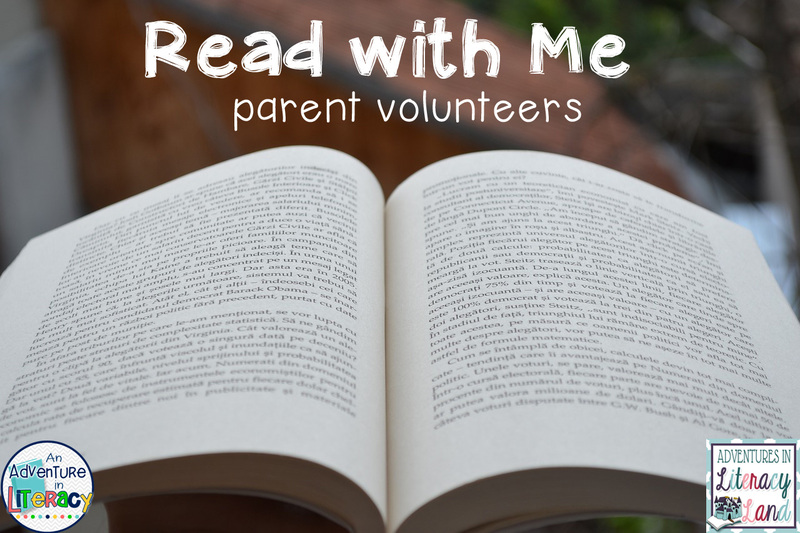 Last year in my class I had "Read with Me" volunteers. These volunteers would come weekly on scheduled days/times to listen to students read. Once I set up the initial schedule the program ran flawlessly for the rest of the year. The parents and students loved the program and it took very little work on my end. 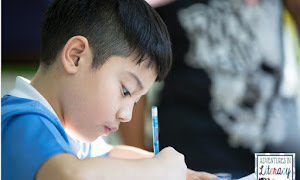 Here are some tips to incorporate this in your classroom. At back to school night I shared this program and put up a sign-up sheet for interested parents to sign up. I listed times that I knew would be ok for students to be out of the classroom for a few minutes (literacy centers and intervention time). I also put a blurb about this in my newsletter for parents that didn't attend back to school night. You can download a no frills editable copy here. After signups I made a schedule and contacted parents. Many classrooms in our school were using parent reading volunteers so our reading specialist had a brief training for volunteers that shared tips for reading with children and helpful prompts to use. I put the reading log sheets and a pen on a clipboard hung by my door. 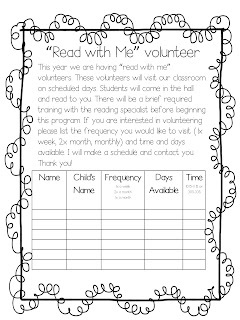 When volunteers arrived they took the clipboard, grabbed two chairs to put in the hall, and selected the first reader. After the first reader finished they told them who to send out next. Students brought their independent book boxes with them so they had familiar books to read. The students and parents knew what to do so it minimized distractions and I could continue teaching. I let the volunteers decide how they wanted to run their session with the child. 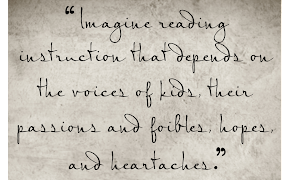 Some would read a few books while others would focus on just one but have discussions after. Each volunteer seemed to add their own spin which was great because my students were getting different opportunities to work on different skills. I also let the volunteers know that if something came up and they were unable to attend it was not a big deal. 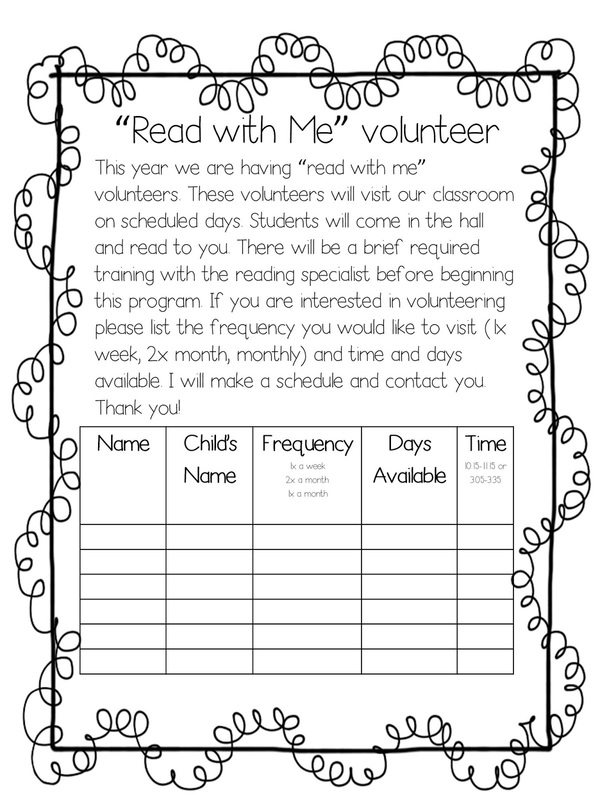 The read with me program was a huge success in my room and I was so amazed at how easy it was. 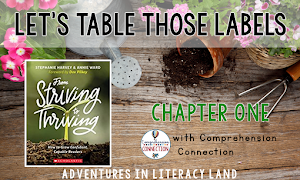 If you're interested in starting something similar you can download a free copy of my student book chart and directions here.